Post requests to locate missing details on your family tree and find ancestors. And help others in their searches by adding your favorite genealogical sites. 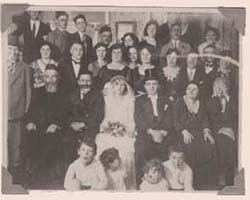 Look up sites that share your ancestors and find tips on developing personal family page. Then add your family's page and update the listing at any time. Check out this list of resources for creating family histories with links to photo and video restoration, family history books, and coat of arms information. Thanks for stopping by Yourfamily. Give us your feedback on how we can serve you better.